Annual Children's Christmas party for 100 children from the City of Passaic and City of Clifton. NJ Camp for Blind Children, Inc. (Camp Marcella), a camp for the visually impaired children (www.campmarcella.org). Our Lions KidSightUSA program (free vision screenings, eye exams and glasses for disadvantaged children). Support NJ Lions approved projects, such as St. Joseph’s School for Blind Children, NJ Lions Eyeglasses Recycling Center, Eversight NJ, Lions Eye Bank of Delaware Valley, The Arc of Bergen and Passaic, the Seeing Eye Foundation and many more. 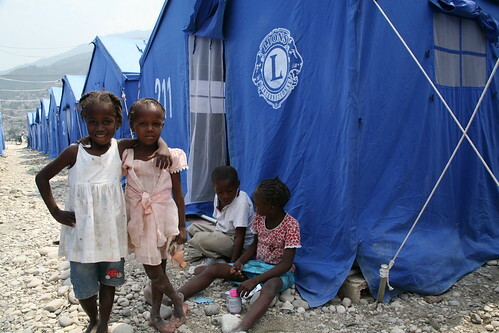 Support to international causes and disasters via the Lions Clubs International Foundation (www.lcif.org). Co-sponsoring programs with the other service and fraternal organizations. Passaic PBA and FMBA charitable causes. We are very busy and that is why we need your support. This golf outing is our only fundraiser. Our members pay dues, which cover our basic operating cost. Your tax deductible donations either for golf or a hole or tee sponsor helps in our endeavors. We can also use simple giveaways to give to each of our golfers. If you have something with your name on it, please donate it. We always tell our golfers to support our sponsors. We do need golfers. Please come out and support our event and at the same time have some fun. Our club is the oldest in the district, having been founded in 1921. Your help and support at this years golf outing will allow us to continue to do the good work that our membership does. 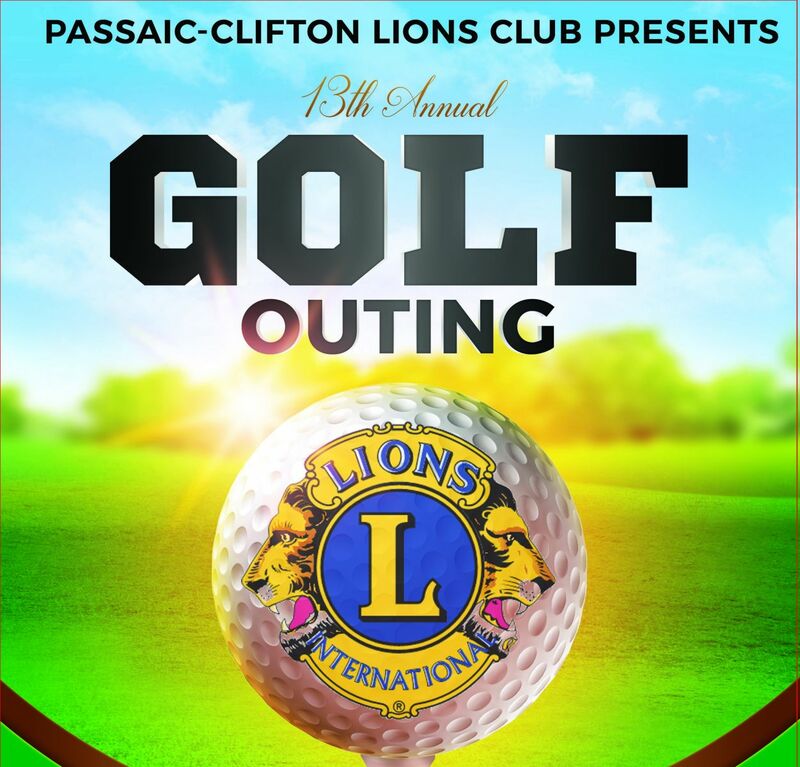 If you have any question, please contact our President Tom Simpson at 201-321-9550 or e-mail us at info@passaic-cliftonlions.org . Also, please take a look at the golf outing brochure here. Thank you in the name of all the members of the Passaic-Clifton Lions Club. What to know who are the Lions? Click Here. The Passaic-Clifton Lions Club is an active participant of the Lions KidSight USA program. For more information on how to schedule a free screening to your pre-school or local organization contact us at info@passaic-cliftonlions.org . We have created a GoFundMe campaign to fundraise in order to obtain a Vision Screener. You can support us by visiting gofund.me/2dzr8fdk or by making a donation using the Paypal link below. Each day, a quiet disaster takes place around the world. It may not make headlines, but it takes the life of 450 children every day – more than 164,000 a year. And it’s completely preventable. This disaster is measles – and Lions have vowed to fight against it. We need your help today if we are to win that fight! Measles is: One of the top five causes of vaccine preventable deaths in the world; Easy to prevent – the vaccine costs less than US$1 and gives life-long immunity; Found in every part of the world – measles outbreaks have taken place on every continent and in all climates; and One of the most contagious diseases – 90% of those exposed to the measles virus will catch it if they do not have immunity. Every year, a disaster quietly strikes thousands of families. While it may not be mentioned on the news or in your local paper, this disaster takes the lives of 450 children, daily. Measles is one of the world's most contagious diseases, but is easily prevented by a simple and inexpensive vaccine. Deaths associated with measles are a disaster that should never happen. Even so, the World Health Organization estimates that unless vaccination efforts are intensified, the number of children who suffer the blindness, hearing loss, brain damage and death caused by measles could increase considerably by 2013. The Measles Initiative was founded in 2001 upon the belief that even one death from measles is too many. Since its inception, the Initiative has vaccinated one billion children. This incredible achievement has resulted in a 24% worldwide reduction in child mortality. Every time a child is vaccinated, the Measles Initiative comes closer to achieving its goal of eradicating measles by 2020. For less than US$1, a child can be immunized against measles for life, making the vaccine one of the most cost-effective health interventions available. Lions have always been advocates of vulnerable populations – especially children. The Bill & Melinda Gates Foundation recognizes the important role that Lions can play in helping every child to have the chance to live a healthy life. In 2010, the Gates Foundation provided LCIF with a grant that enabled Lions to support the work of the Measles Initiative through social mobilization and advocacy. The results of this collaboration were astounding. In one short year, Lions and LCIF supported the immunizations of nearly 41 million children! Although great success has been achieved, our work has only just begun. Lions are well-known for accepting difficult challenges. In October, 2011, the Bill & Melinda Gates Foundation called upon Lions to rise to a new challenge, when it awarded LCIF the single largest gift in its history: US$5 million! The Gates Foundation will use this historic gift to match US$1 for every US$2 that Lions raise to help end measles. Together, LCIF and the Gates Foundation hope to raise a total of US$15 million by June 30, 2012. One dollar will provide one vaccine to one child - and will give that child the chance to live a healthy life! SightFirst focuses on two neglected tropical diseases, onchocerciasis and trachoma, and continues to make significant advances. The World Health Organization (WHO) verified the elimination of river blindness from Colombia in 2013 and from Ecuador in 2014. Now, the Chinese government has announced the elimination of blinding trachoma from China. As recently as 1999, over 350 million people were thought to be at risk of contracting this disease in China, but it is no longer a public health threat in that country. This goes to show what can be accomplished when governments, volunteers and NGOs commit to eliminating preventable causes of blindness. With help from the Lions of Hong Kong/Macau and China, this announcement marks a milestone on the road toward official verification of elimination of yet another blinding disease. Lions have generously donated over US$2 million to the LCIF disaster fund following the earthquake in Nepal. Local Lions are still hard at work meeting critical needs and rebuilding. They have organized countless blood donation drives, distributed food, blankets and clean water to victims, and continue to put aside their own needs to assist their neighbors. The Lions of Nepal are providing hope in the wake of disaster. verywhere we work, we make friends. With children who need schoolbooks, with seniors who need transportation and with people we may never meet. You can donate directly to our Blind and Charity Fund to help us finance our projects of Lions KidSightUSA. Thank you in advance.